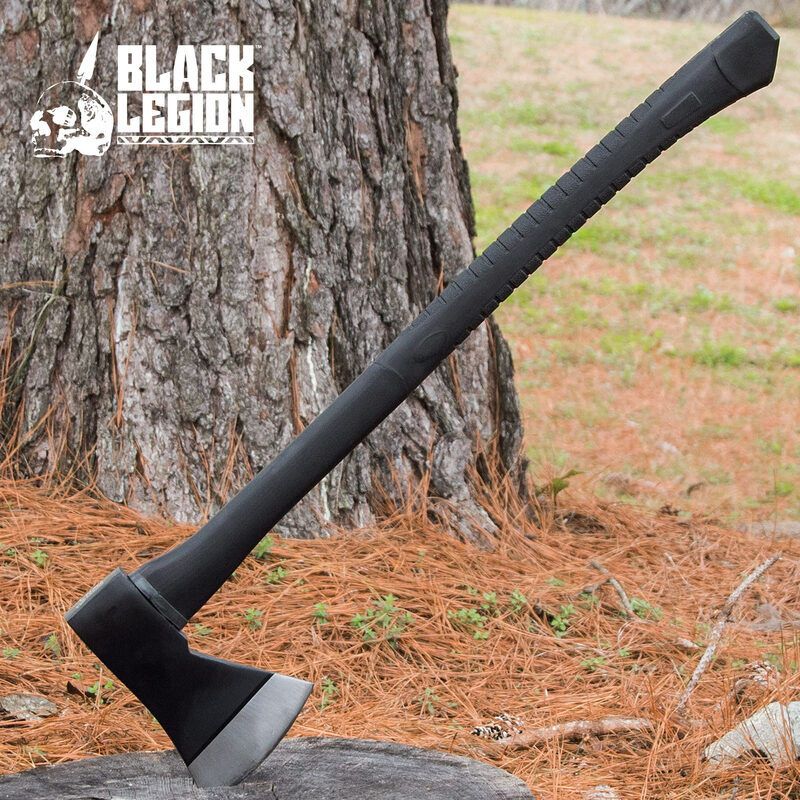 Black Legion Firefighter Long Axe - Extra Thick Solid Steel Axe Head, Rubberized Handle - 28" Length | BUDK.com - Knives & Swords At The Lowest Prices! 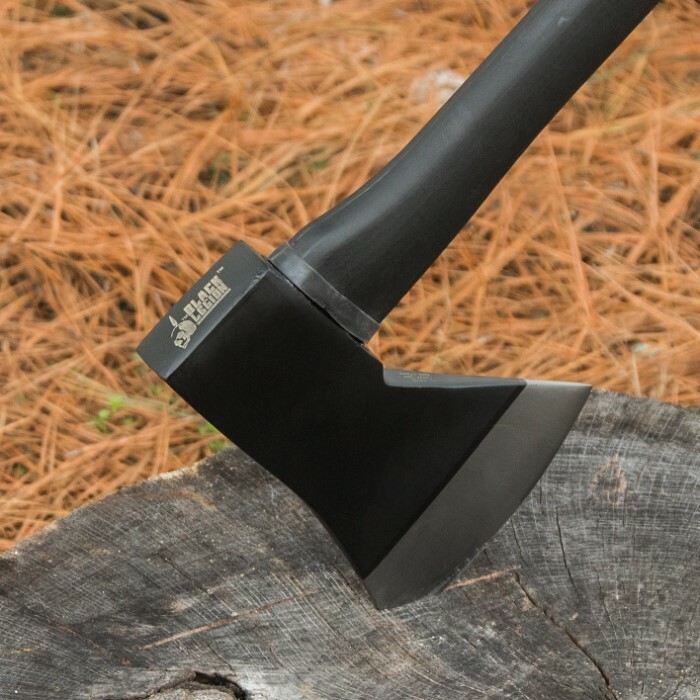 This massive Black Legion firefighter-style axe is built for tough use. It will get virtually any job done regardless of how intense it is. 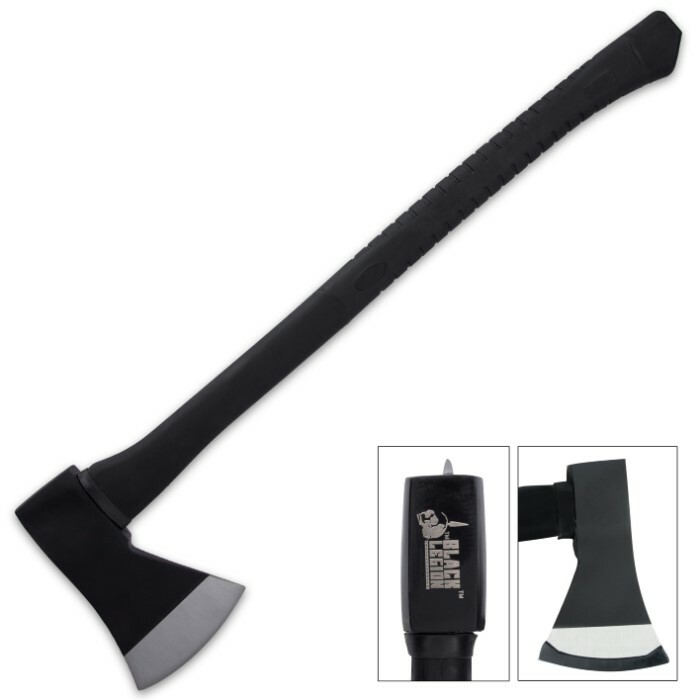 It has an extra thick, all stainless steel construction axe head with a razor sharp 5" blade. The rubberized handle gives you a sure, slip-free grip. It is 28" in overall length.